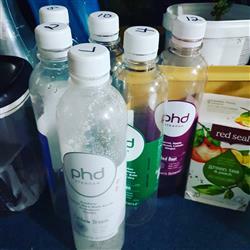 "PHD juices are fresh, tasty and refreshing, you almost forget you’re drinking vegetable juice and at a rwaslnable price too!! Definitely a happy customer "
"Very good, made detoxing easy. Would use again"
"Like it - make it my dinner drink as feel it has more substance and fills me up "
"The reset me plus is the best for me as it keeps me fuller longer! I will be doing in again after the holidays :) "
"The zesty lemonade is my favorite and it quite enjoy just having it. In the fridge even when I'm not doing a formal juice cleanse. So refreshing! " "Great and so easy to do while im working... I drive a milk tanker for Fonterra... Will be doing again when I can afford to but want to try the 3day cleanse without the salads next time round😍"
"Juices arrived on time and cleanse easy. Not hungry at all. Felt amazing and very hydrated. Going to do another to really get me on track again." "I loved the detox. Found it really easy. I looked forward to my yummy salad each night "
"Great - easy to use, tasty and filling salads and easy to drink smoothies." 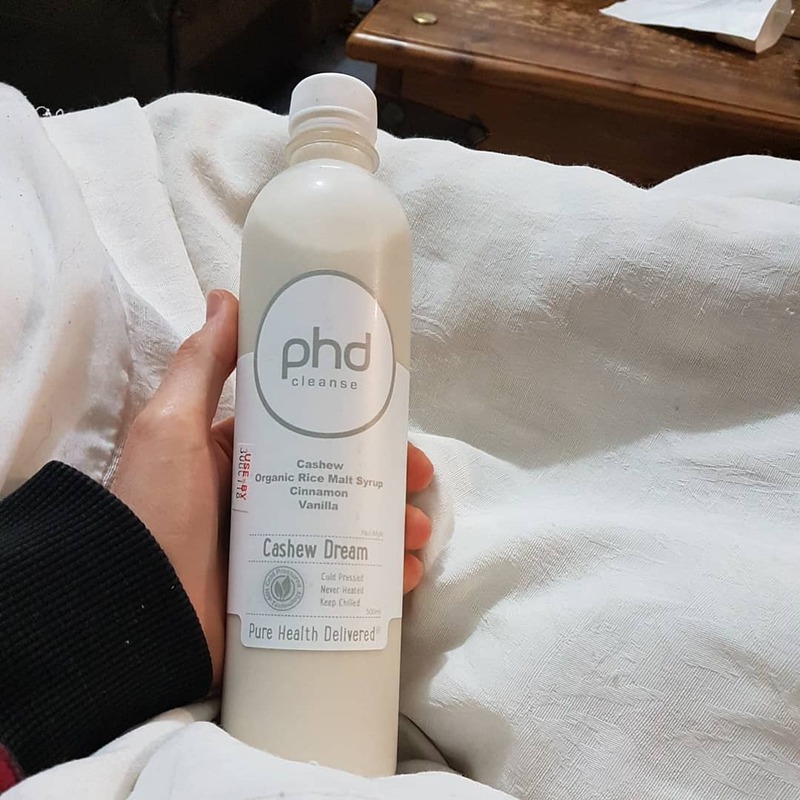 "Of all the juices from PHD that I have tried this is my favorite. It carries the classic flavor you would get from home juicing with the mix of apple, celery and kale. These juices are great to curb appetite and get an immediate energy boost of nutrients. " "Great way to reset yourself!" "It was great. Loved the salads and the juices. Really helped me with energy levels." "I initially wanted to do the cleanse to clear up my skin, relieve bloat etc. Unfortunately I didn't find any difference in my skin at all and I did lose almost 3kg but put 2kg of this back on in a day! (I was expecting this as I knew it would just be water weight and I didn't do the cleanse to lose weight anyway) but what did surprise me is the fact I wasn't hungry and struggled to drink all the allocated juices per day! As someone who eats all day every day and needs various snacks between meals and constantly need to know when my next meal will be, I didn't think I could do it but it was surprisingly easy and has made me realise that I don't always need food when I reach for it. I cut back on all exercise and still had my morning coffee but didn't feel tired and didn't need or want my afternoon coffee at all. I wasn't a fan of the lemonade drink but loved all the others. All-in-all it was a very interesting and rewarding experience." "Great cleanse! The new berry salad is delish!" "I loved the cashew dream, was so good and filling "
"Amazing! I felt so good even on day 2. I lost 3kgs and had a very clear mind. " 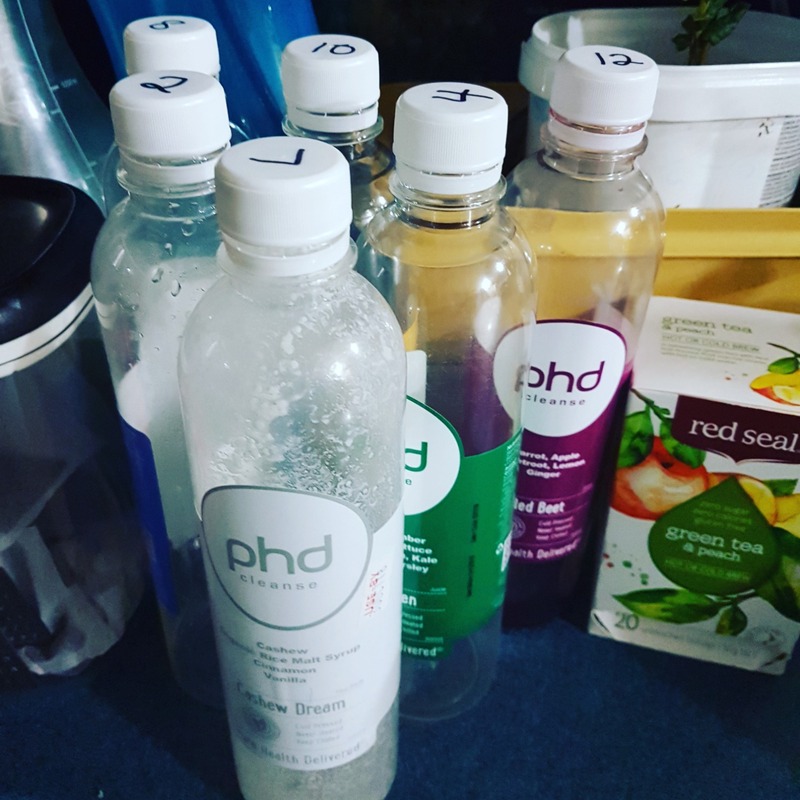 "The 3 day cleanse went very well. Ending the day with cashew dream was my favourite part that I looked forward to. I will do this again when I need to settle my digestion and my IBS and reset healthy eating habits." "Easy to drink, very refreshing. A great addition to my cleanse." "The mix of pineapple and apple was always going to be a good combo but adding mint was perfect. I could easily drink this every day." "Awesome wish I could afford to be able to do it every week "
"Good. Delicious and good service "
"Delicious, super fresh & tasty! I would highly recommend also the Beet Juice! Amazing!!!" "Cashew Mocha was a refreshing surprise. I decided to give it a go to pass on my usual mid-morning coffee. It did NOT disappoint." "This is a great programme with delicious juices and most importantly looking forward to that amazing cashew dream drink for dinner. " "I love the simplicity of waking to each day with good nutrition ready and waiting when I’m on the run. " "It was hard just having juices, but they were delicious and I didn’t lack in energy as I thought I might and I felt great afterwards. Will definitely do this again!" "Really great! Easy to stay on track with those delicious juices and salads! Thanks!" "I love it, always feel heaps better after less bloating and changes my mind set towards food "
IMPORTANT : Please read terms and conditions for this subscription purchase - click here. Any comments or special instructions? I confirm that I do not have a fruit, vegetable or nut allergy; I do not have a medical condition; and I do not have a rural delivery address.